On December 21, a disastrous fire killed 29 people and injured 39 at a sports center in Jae-cheon. Reckless and illegal parking hampered fire engines from getting to the area in a timely manner. Also, on New Year's Eve of 2018, the Kyungpo 119 Safety Center in Gangneung was blocked by 10 cars parked in front of the Center. The fire engines and pump trucks were held up for 40 minutes after the rescue. Basic law permits arbitrary removal or movement of parked vehicles if they block or interrupt the movement of fire engines, but the government seeking compensation for the removal and relocation of vehicles demanded firefighters cover costs. Firefighters, fearing lawsuits from individuals do not wish to get involved in car removal. Hence, the firefighters were reluctant to move the vehicles. According to the fire department, firefighters have had to pay out 17.32 million won from 2015 to 2017, on a total of 20 separate cases. For that reason, nearly 33,000 people signed a petition that was sent to the president’s office demanding law that states firefighters cannot be held accountable for damage to an individual’s parked vehicle if removed or pushed aside during an emergency. 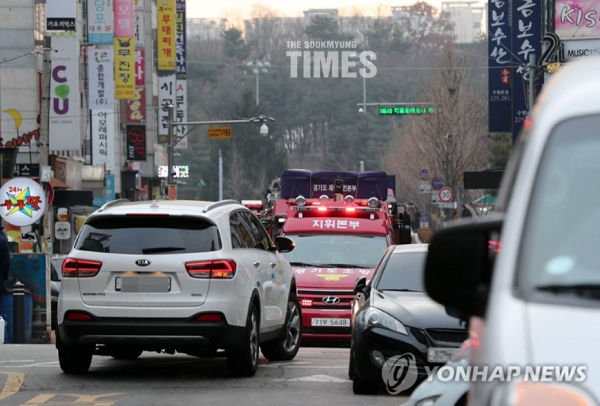 The National Assembly announced on January 11, that from the first half of this year, all individuals whose cars are parked in areas designated as fire engine areas in apartment complexes and individuals whose cars interrupt firefighters in the line of duty will be fined one million won. Monthly, firefighters train to reduce their response, but there is no way they can account for the extra time needed to clear a path for the fire engine. Chungcheongbuk-do Province Fire Department official said “Because of the Jecheon tragedy, new emergency readiness plans have been created to help reduce response time during monthly trainings as well as how to secure passages through traditional markets, also we have to train to secure alleies”. Advanced readiness is important because fires can happen at any time. It is also important to adhere to regulations and check them regularly. It is horrendous to have to let a fire burn to the level of disaster because of illegal and reckless parking. We need to consider safety first when a fire breaks out on a busy town street.